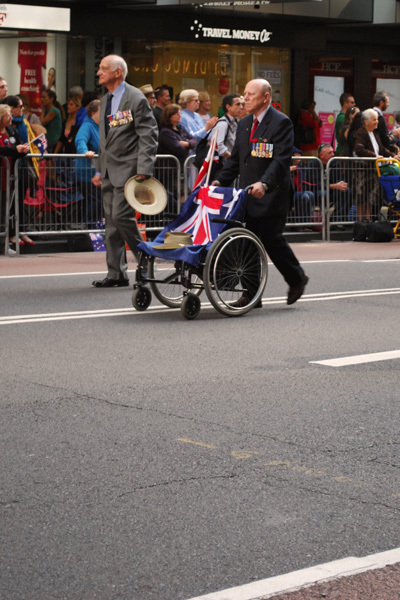 The day we honour our service men and women and the sacrifices they made for their country and people. A day that is as important as Christmas Day and Good Friday/Easter Sunday because we actually close our retail shops. A day that brings profound reflection. 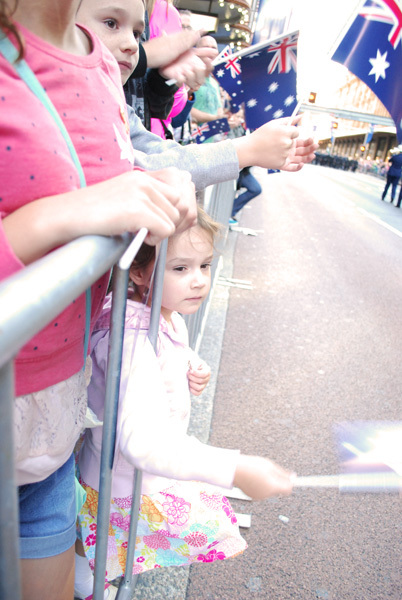 This year we went to Sydney to watch the march and show our support to the troops both of past and present. 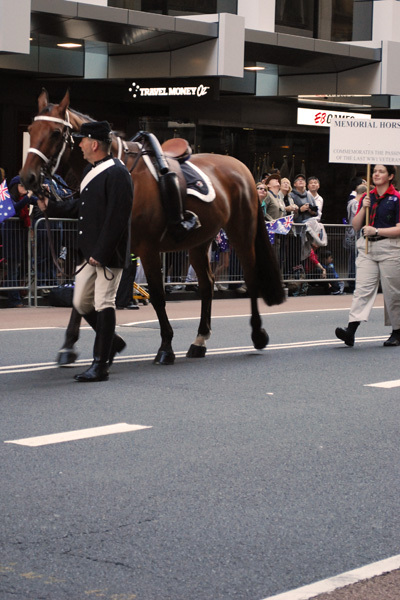 The memorial horse which commemorates the passing of the last Boer War veteran. The one following this one is for the passing of the last WW1 veteran. I'll admit to shedding a tear at images such as these. Gone but not forgotten. But images like this made me proud! And these three Evil Weevils were so good and they clapped and waved and were really interested in the march. Well, for three hours anyway. Then they just got really hungry and tired, so we retreated to McDonalds. When we were finished the march was just finishing up. 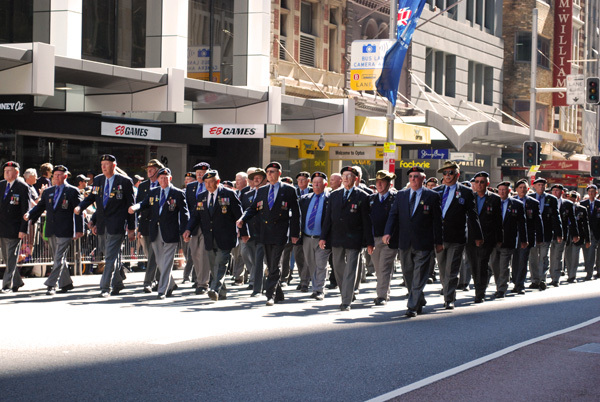 Afterwards, the combined pipe band march in the opposite direction down to Martin Place. It was a very impressive display and I'm disappointed I didn't get a photo of it. Not to worry. We had a great day and of course we finished it off with a trip to HobbyCo. No Jarrett trip into the city would be complete without a trip to HobbyCo. And a huge nap afterwards to recover.